Gallia Narbonensis was a Roman province located in what is now Languedoc and Provence, in southern France. It was also known as Provincia Nostra ("Our Province"), from its having been the first Roman province north of the Alps, and as Gallia Transalpina ("Transalpine Gaul"), distinguishing it from Cisalpine Gaul in northern Italy. 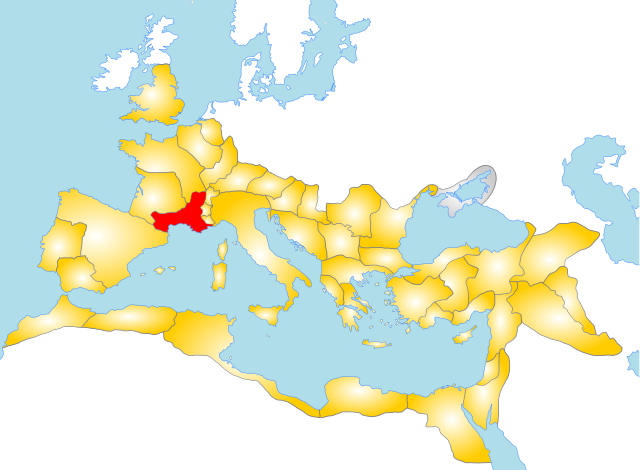 It became a Roman province in the late 2nd century BC. Its boundaries were roughly defined by the Mediterranean Sea to the south and the Cévennes and Alps to the north and west. The western region of Gallia Narbonensis was known as Septimania.